Before you enter his group home, Marcus Gray is standing on the steps greeting you, making it seem as if you are longtime friends. His vivacious personality does not know a stranger. Once inside, Gray shows you all his photos with sports figures and other famous people. He is not shy. Gray decided two years ago that he wanted to work in a bakery. He enrolled in the JRE Lee Baking Program in South Miami. The year-long culinary program allowed him to learn skills to work in a professional bakery. After his graduation, he was lucky enough to join the Winn-Dixie bakery team at the store located at 3701 NW Seventh St., in Miami. 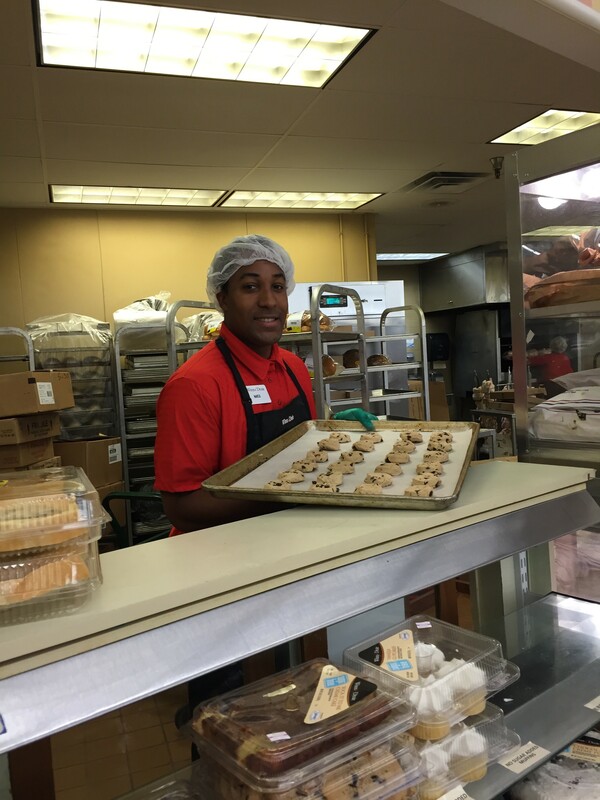 Winn-Dixie Bakery Leader Isolina Gonzalez said, “Marcus applied for the job and met with the bakery manager. He impressed her with how neat and professional he looked, and how kind he was when communicating with her.” He soon began working at the store in April 2015. Gray receives services from the Agency for Persons with Disabilities (APD). October is National Disability Employment Awareness Month, and APD is highlighting the workplace achievements of people with developmental disabilities and the employers that hire them. Gray appreciates the financial aspect of employment. “They pay me to work and I want to make money,” said Gray. Outside of work, Gray is busy keeping up with his acquaintances. “I like to use my iPad to communicate with friends and be on social media. I love posting pictures of the things I do and of my co-workers and me. I enjoy watching movies, talking on the phone, and going out to eat to restaurants,” said Gray. In 10 years, Gray wants to be working in a large grocery store, like the one he works at now, and continue working in the bakery section. He hopes to live in an apartment close to his current group home so he can still visit all of his friends and hang out with them.